Who doesn’t love a juicy, crunchy chicken wing? These ones are made even more delicious by a garlicky Parmesan coating. The wings can be fried, instead of baked, if you prefer. Serve with fries, natch. 2. Combine the olive oil, garlic, 2 teaspoons of garlic powder, salt, and pepper in a large bowl and stir together. Add chicken wings and toss to coat. 3. 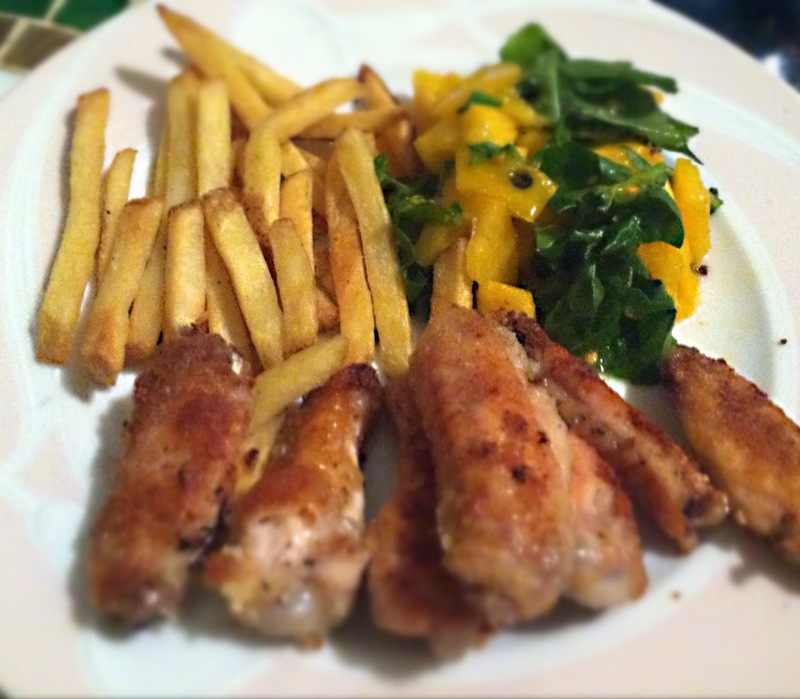 Arrange the chicken wings on a baking sheet, then place in preheated oven. Cook for one hour – until crisped and cooked through – then remove from oven and let cool. 4. While wings are cooling, melt butter in a sauce pan, then transfer to a large bowl. 5. Whisk in remaining garlic powder, onion salt and Parmesan. 6. Toss wings with dressing, til evenly coated. 7. Arrange on a platter and drizzle with lemon. Serve immediately.